It’s the beginning of a new year and most of us have set ourselves new goals and aspirations. Therefore, it’s time to clear our minds, de-clutter our homes and bring in some fresh and inspiring vibes that will help us to concentrate on achieving our goals. For instance, the colour yellow is often associated with optimism and creativity. As a result, create a calm retreat with hints of Yellow Decor to help you concentrate and eradicate artists block. 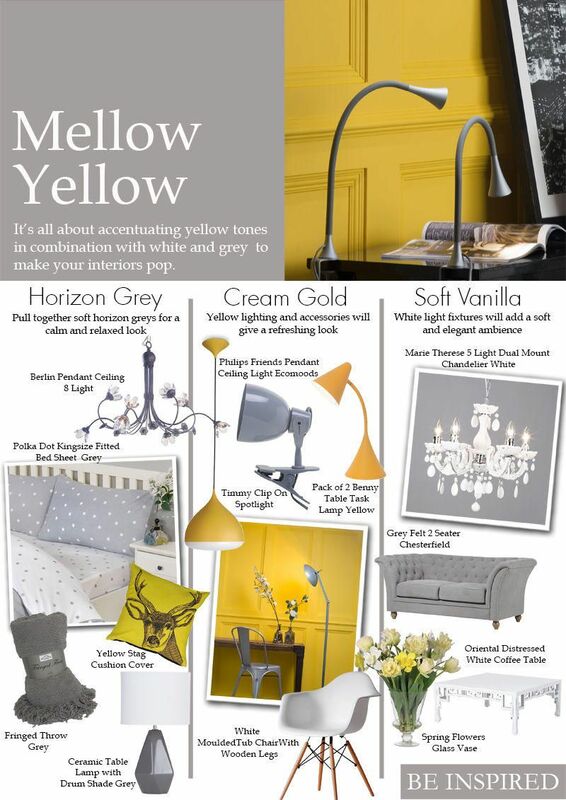 Lastly, Mellow Yellow Décor is all about accentuating yellow tones in combination with white and grey hues. Which make your interiors pop without making the yellow look overpowering. Introducing the Bedroom, this is the place where we spend time to rejuvenate our bodies and minds. therefore it is crucial this space looks calming and cosy. For instance, use soft horizon grey hues to create calm and tranquil atmosphere. More so, the right bedding can improve your sleep quality, so make sure it’s not only pleasant to the eye, but also comfy and snug. 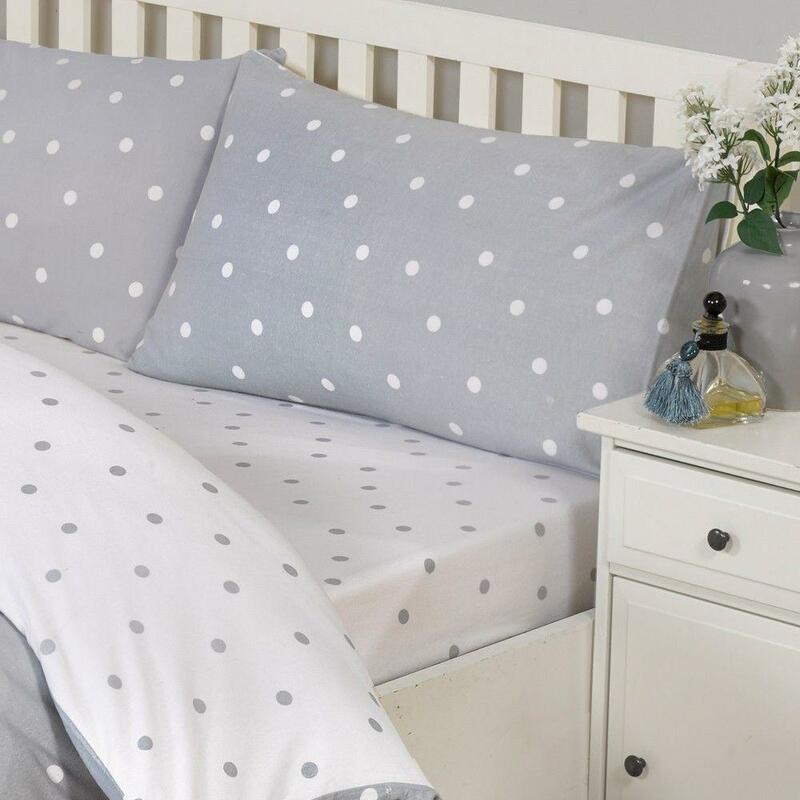 Our Polka Dot duvet sets and bed sheets are made of 100% cotton for soft and natural comfort. For added cosyness choose a soft throw that would match the grey colour scheme. Create a calm and refreshing mood in your bedroom by selecting contemporary accent lighting that would be practical and stylish at the same time. Geometric shapes have always been a big trend in the design world, and now it’s getting more and more popular within the lighting industry as well. Our new Ceramic Table Lamp in Grey is a contemporary style statement that will look stunning on your bedside table. 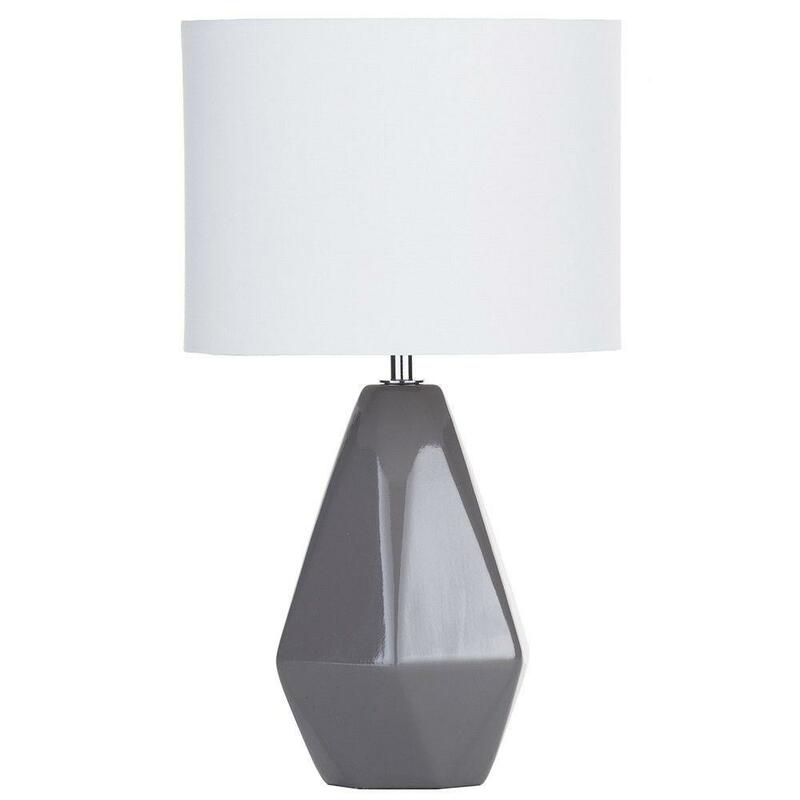 Inspired by geometric forms this modern design light has a sleek grey ceramic base and a white fabric light shade that defuses light softly creating a charming atmosphere in your bedroom. Yellow is such a bright and energising colour that you don’t need much of it to feel its presence, add that pop of yellow decor to your bedroom with decorative cushions and stylish candle holders. This will add freshness to the whole room without making it look overwhelming. Home office is often our creative spot where we generate new plans and original ideas. Make sure to decorate your home office in a way that would help you concentrate and stay focused. Keep the clutter to a minimum and don’t overfill your work space with unneeded accessories. Choose white or grey as the main colour to create a professional looking and relaxed atmosphere and add character and productive aura to the room by selecting yellow decor. For those of you feeling extra adventurous add a yellow feature wall for a trendy look. 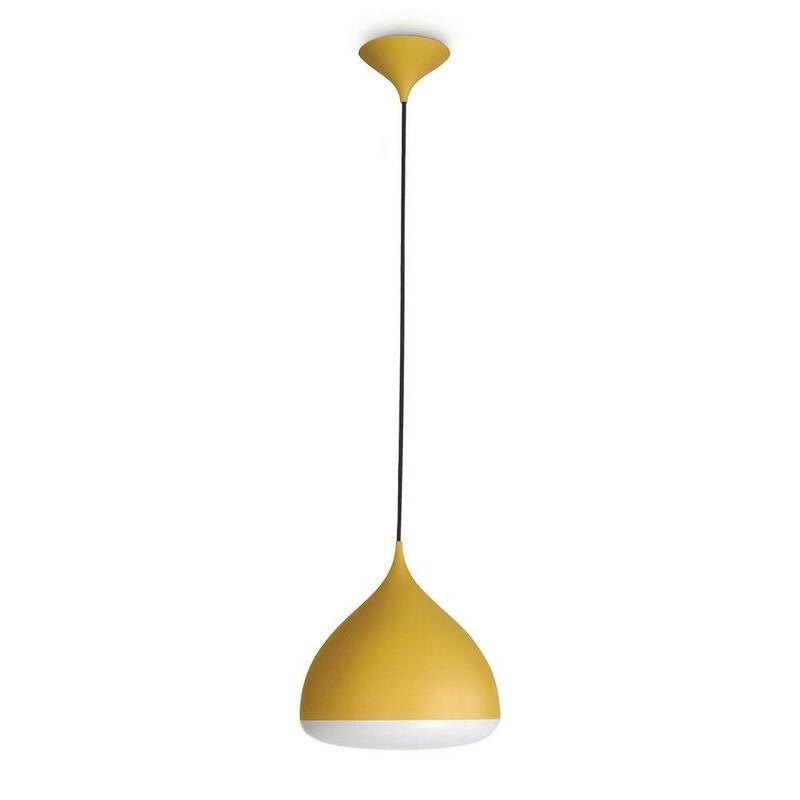 Fill your room with style and inspiration with the Philips Friends water drop ceiling pendant ceiling light. 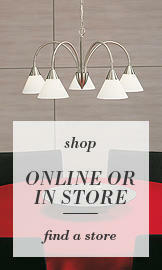 This stylish pendant will create a beautiful and colourful centrepiece as well as help you save on your energy bills. This LED energy saving light will illuminate the room and save you up to 80% on electricity. Bring in some freshness and elegance into your living room by introducing white and grey interior elements. This will make the space look bigger and more sophisticated. Chandeliers are a great choice for lighting up your living room. 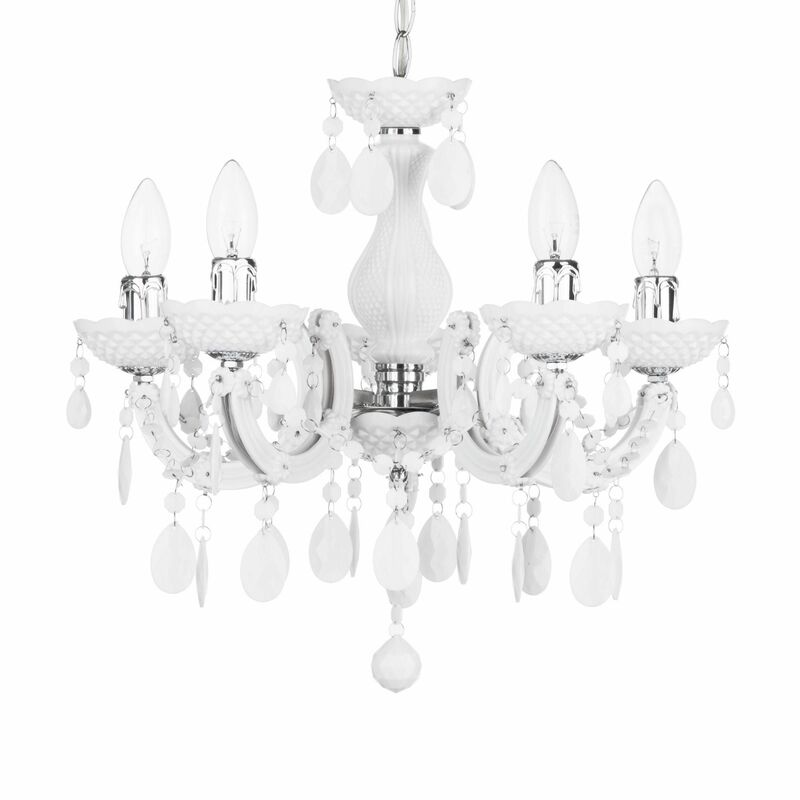 Our new Marie Therese 5 light chandelier in white will look stunning in any living room adding a touch of charm and elegance. This year it’s all about keeping your living spaces clean and uncluttered, so don’t try to fill every shelf with little ornaments and decorations. Keep it clean and simple. For a Mellow Yellow Decor look just pick some yellow flowers that will add a pop of colour and a feminine touch to your room. 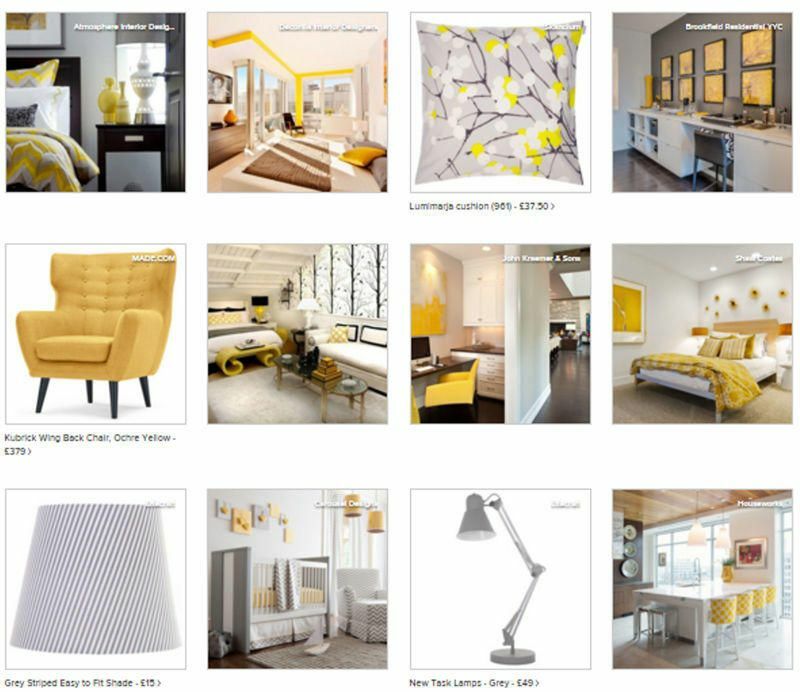 For more ideas and inspirations check out our Houzz Mellow Yellow Decor Idea Book. Gorgeous – love yellow especially with grey!